A part of the luminaire series designed by Philippe Starck, the Romeo Outdoor C3 ceiling lamp enhances the outdoor environment with its timeless and refined design. 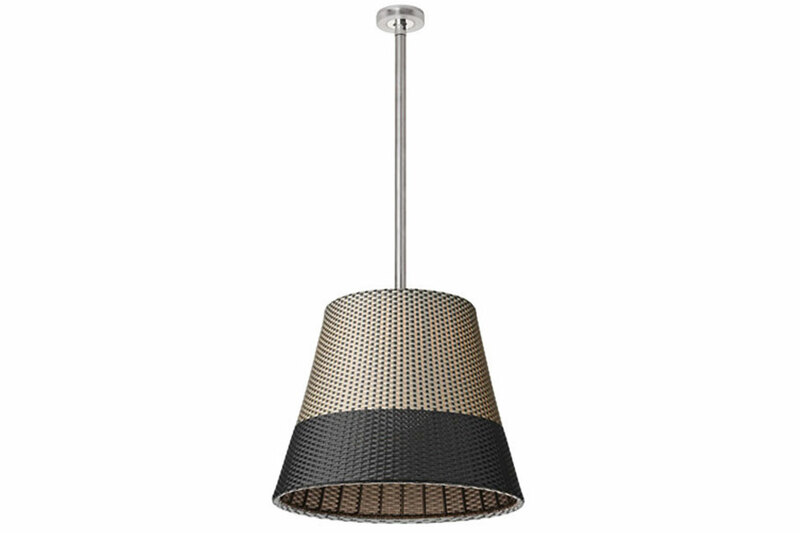 This lighting fixture consists of an outer diffuser made from weaves of coloured PVC tubes compounds while the inner diffuser is made of opal-coloured, vacuum-formed polycarbonate that is removable without tools for bulb change. All painted details have undergone a galvanic phosphochromate treatment for enhanced corrosion and weather resistance. Also available in a smaller dimension.